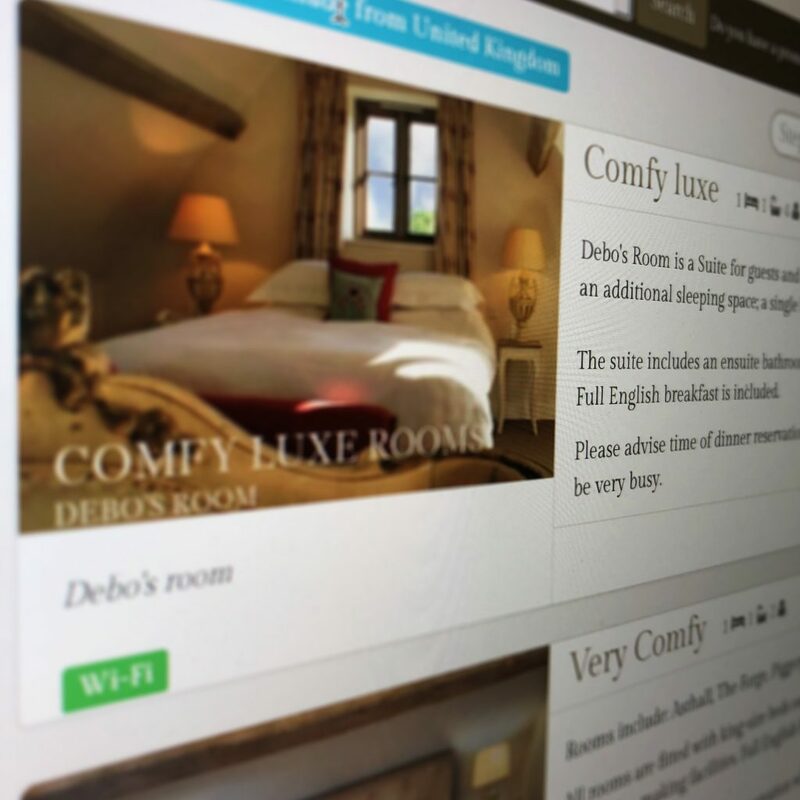 The Swan Inn is now able to provide an online booking system, using the toolbar on our newly designed website, you can simply select the arrival date by clicking the calender and then select the departure date by using the departure calender. The length of nights stay default to 2 days but you can override this by using the departure calender. You will notice in the toolbar there is a box call prom.code, this is for promos that we will be running in the later months of the year and the early months of next, so please feel free to subscribe to our newsletter for any special offers that we may be providing and be the first to know. After selecting the dates that you wish to check availability for this will take you through to the main booking engine which will show you which rooms are available, to enlarge the pictures of our six rooms just click the small thumbnail to enlarge. Simply then select the room you wish to stay in and fill in your details, an account will then be created enabling you to adjust your details, you may then fill in any notes for our staff to read for any special requirements for your stay. At any time in the procedure feel free to call us for any assistance.